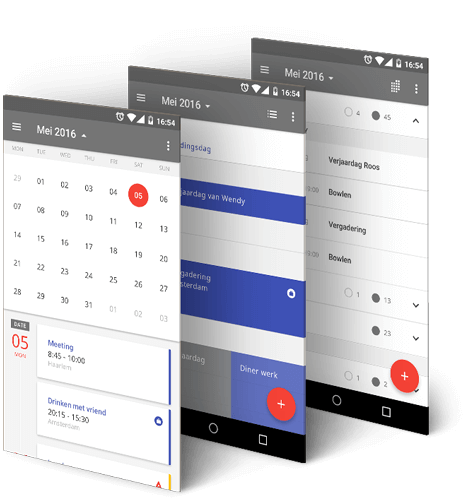 App!pointment is all-in-one calendar application. The app allows the user to keep all appointments with all his contacts. You might wonder how? The app has many options for synchronising. The user can synchronise all his existing online calendars and contact lists to add them in App!pointment. That's pretty easy! You can also share and disclose appointments in two ways: in the app and on social media accounts. Thus you will always be informed via social media accounts. 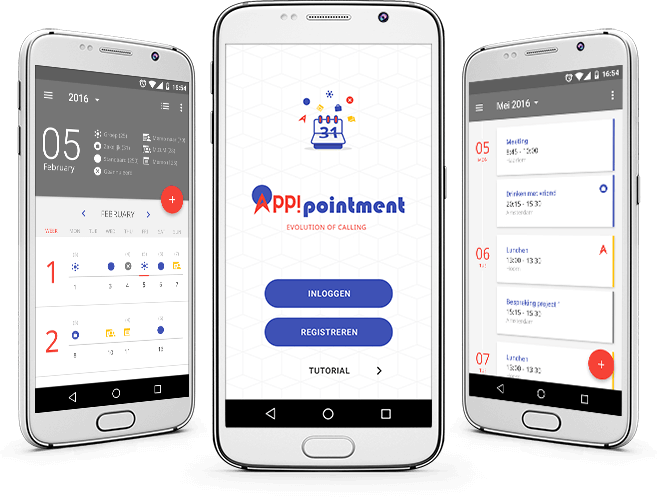 With App!pointment, all appointments can be shown in a day, month, or year overview. They can also be categorised. Why you would want to do that? To offer an overall view of everything that you have planned. There are fun factors as well! The user can chat with other users about planned appointments. Besides own appointments, the user can also plan a 'party' with other users. Yay! Users can indicate whether they may be absent, which is immediately clear to everyone. 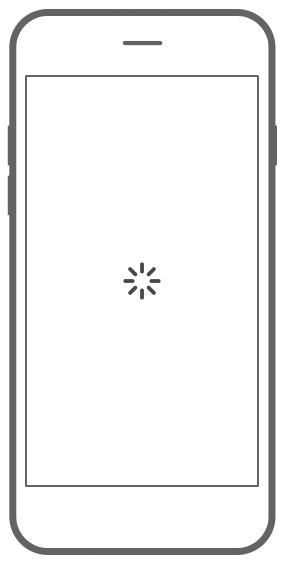 The user gets acquainted with App!pointment by a tutorial. On the homescreen the user sees all appointments and can scroll between them. App!pointment can be synchronized with all social accounts to keep everybody informed. See all invitations on one screen: thats handy! Who can be invited for what? The user sees it here. A visual scheme of all meetings per day. All appointments for the day. What are you up to this month? See the clear overview on this screen. Like planning ahead? Here are all appointments of the year. Curious to find out about extra features? Buy credits and see what's new!